Avon Hydrofirming Night Cream Review: Is This Product Worth Buying? Avon Hydrofirming Night Cream is marketed as a night cream that can maintain the elasticity of the skin. 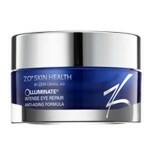 According to the product description, it can increase the overall firmness of the skin by 85%. It is also said to boost the moisture levels of the skin by 100%. If you wish to know if this is the night cream for you, it would be best that you read this Avon Hydrofirming Night Cream review. Avon is one of the most popular skincare brands that have been on the market for many years now. The company rose to fame because of their direct selling marketing strategy. But along with their commitment to delivering high-quality skincare solutions, the product is also passionate about the environment, and they are continuously working hard to reduce their environmental footprint. For best results, apply the night cream after you have cleansed your skin. Smooth the night cream on your face and neck before bedtime. A 1.7 fl oz (50 ml) jar of Avon Hydrofirming Night Cream is sold for a price of around 30 USD. The product is now only available on retailer sites. Glycine soja (Soybean) Oil: Rich in lecithin, vitamin E and fatty acids, this oil can deeply nourish and moisturize the skin. 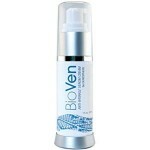 In addition to that, it can also deliver antioxidant protection and regenerating properties to the skin. Eucalyptus globulus extract: This is widely used in most skincare products because of its ability to facilitate faster healing and recovery of the skin. Simmondsia Chinensis (Jojoba) oil: This delivers excellent nourishing and moisturizing properties to the skin. 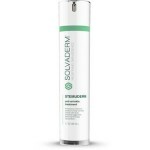 Squalene: This substance is said to deliver moisture to dry skin. 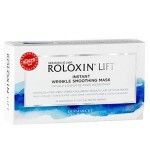 It can also restore the elasticity of the skin. The night cream can make the skin firmer. It can also deeply moisturize the skin. The cream can deliver instant results. The product also has parabens. The product is no longer listed on the company’s website. 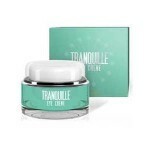 There is no denying that this night cream contains ingredients that are beneficial to the skin. But a close look at the ingredients list reveals that it also contains some of the unwanted chemicals in the skincare industry like fragrance, alcohol, and parabens which are not just irritating to the skin but even harmful to your health as well. 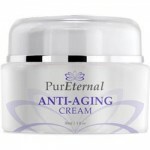 We recommend that you choose a night cream that is free of all these unwanted chemicals. Avon offers a hassle-free return policy on all of their products, including the Avon Hydrofirming Night Cream. You can return any of the products purchased from their website within 60 days after the date of purchase. To facilitate the return process, it is recommended that you fill up the return form that is provided on the back of your purchase invoice. Make sure to include the form with your return.